NFL great Dave Duerson donates brain to science. Sad news surfaced over the weekend. The death of Pro-Bowl safety Dave Duerson, who was a Super Bowl winner with the legendary 1985 Chicago Bears team and the New York Giants in 1990, has been ruled a suicide. Miami-Dade Police Detective Robert Williams said the body of Duerson was found Thursday in Sunny Isles Beach, Fla. The autopsy shows that Duerson died from a self-inflicted gunshot wound to the chest. 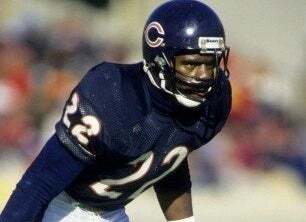 Duerson's death came as a shock, since he had recently attended a reunion for the 1985 Chicago Bears and was engaged to be married in April of this year. Duerson had recently suffered some troubles. After retiring from the NFL, he owned several McDonald's franchises and later helped to grow a company that supplied fast-food restaurants. He started his own food-supply company in 2002, which failed in 2006. Duerson filed for divorce from his wife a year later. He lost his Chicago-area home to foreclosure, and his position as Notre Dame trustee after pleading guilty to a misdemeanor domestic-battery charge. Before taking his life, Duerson had spoken openly about wanting to donate his brain to science. According to Fox Sports, on behalf of the family, a representative of the NFL Players Association contacted Chris Nowinski at the Center for the Study of Traumatic Encephalopathy at Boston University School of Medicine to secure the donation. Nowinski said that the brain will eventually undergo a battery of studies looking for any disease or abnormality, but focused on chronic traumatic encephalopathy, which has been found in a number of former athletes. CSTE is a collaboration between Boston University Medical School and the Sports Legacy Institute that is attempting to address what it calls the "concussion crisis" in sports. The group has been at the forefront of research into head trauma in sports and has received a $1 million gift from the NFL, which it has pushed for better treatment of concussions, despite previous resistance to acknowledging the issue. Some believe that there is a link between concussions and suicide. "You can never link a single act to a disease; however, a large percentage of CTE cases have committed suicide," Nowinski, who is a former NFL player, said. "It's a potential link, something we have to explore." Duerson was a third-round pick of the Bears in the 1983 draft out of Notre Dame, and he became a full-time starter for the '85 team that went to the Super Bowl. The safety went to four Pro Bowls from 1986 to 1989, then went to another Super Bowl with the 1990 New Giants, finishing his career with the Arizona Cardinals. He was 50. In other news: Beyoncé in Blackface: A Tribute to Fela Kuti.